Already qualified Herbalife Gran Canaria Las Palmas held off Telenet Ostend 79-70 to keep its perfect record intact and making a big steps to secure a first place in Group B. Gran Canaria now hold 7-0 record, while Ostend drops to 3-4 in a share of the third place. 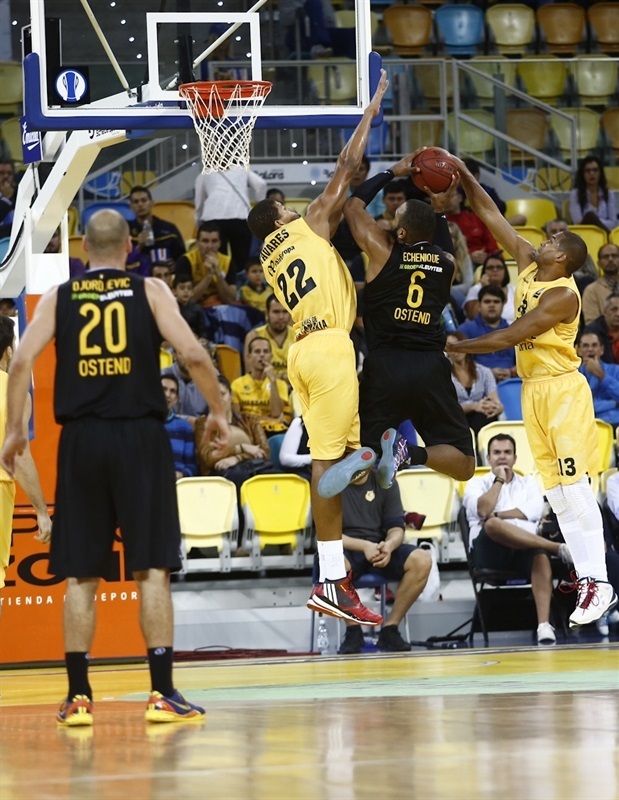 Gran Canaria controlled the game from the early going, opening up 22-9 first quarter lead which it never relinquished. Ostend, however, did slowly come closer, and finally cut it to 66-63 on a triple from Pierre Antoine Gillet in the fourth quarter. But the hosts answered with a 12-0 run which ultimately decided the final outcome. 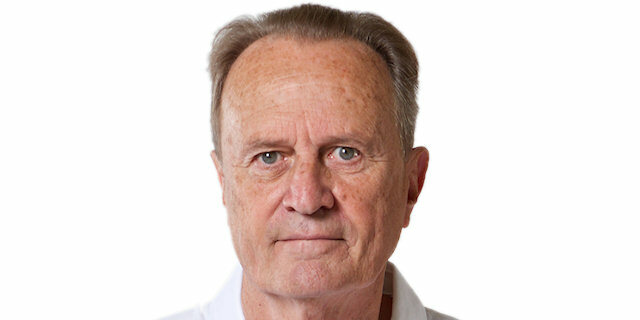 Brad Newley scored 16 points in victory, Tomas Bellas netted 13 and Albert Oliver 10. 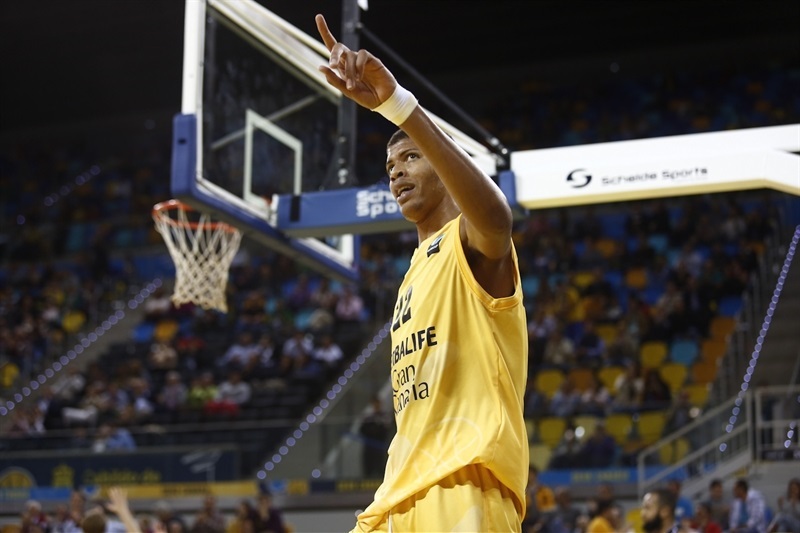 Walter Tavares pulled down 11 rebounds, all defensive, for Gran Canaria. John Prince had 16 points for the visitors, Jared Berggren collected 14 points and 7 boards, while Gillet had 13 in defeat. 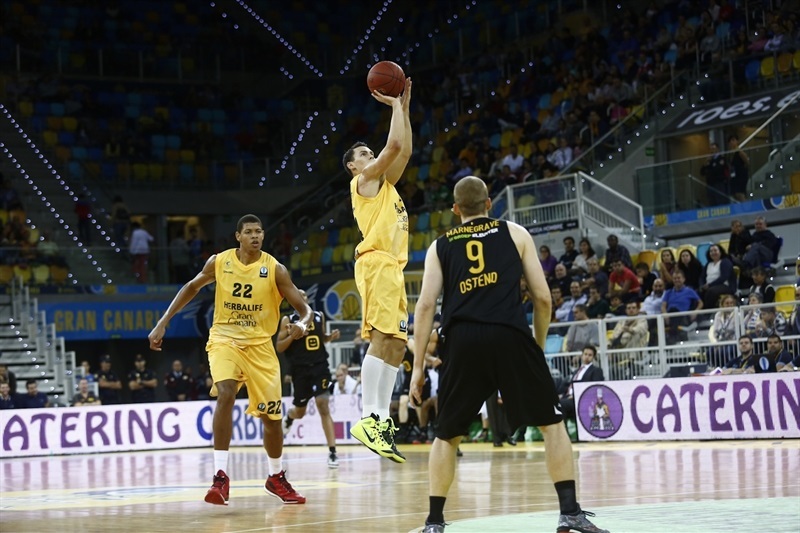 The hosts took control from the start, with a three from Txemi Urtasun and layups from Newley for 10-3. Wes Wilkinson and Berggren tried to get Ostend going, but Gran Canaria scored on five consecutive trips down the floor, and a driving layup from Albert made it 22-9. Gillet strung together a triple and a layup, and Gregory Echenique beat the buzzer to end the first quarter at 26-18. But Gran Canaria’s balanced offense pushed the lead back to double figures through a triple from Levon Kendall and basket-plus-free throw from Tavares for 37-22. Prince halved the deficit with back-to-back triples, and led a fast break finished by Mateusz Ponitka for 37-31. But Newley and Urtasun hit back-to-back from downtown for the hosts, and after Ostend got a three from Guy Muya, Newley made it 45-36 at halftime. Bellas hit a three-pointer coming out of the break, but Berggren scored twice inside and Ponitka added one from the outside for 50-44. Newley hit a three for the hosts, but Prince and Gillet each did the same for Ostend, before a dunk from Berggren got it to 57-53. But Oliver sank a three-pointer at the very end of the third, and Eulis Baez scored a layup at the start of the fourth, extending it back to double figures, 66-56. Ostend used its defense to stay in the game, then went inside to Echenique and Berggren, before Gillet’s three-pointer cut it to 66-63. However, Bellas answered with two quick layups, then after a timeout, dished it to Newley. Oriol Pauli sank a triple, and Newley had a fastbreak dunk in a 12-0 run that sealed the deal with two minutes left to play. "The game was not brilliant, but they are a hard-working team and it is not easy to beat them, and more so with our injuries. We had a really good period in the last quarter, I would like this type of play during all the game, but I understand the difficulty of making it possible with our players that are having health problems." "We knew that this game will be a really difficult one and we could not enter the game with a lack of intensity because of our six wins. We began the game really well, but Telenet Ostend made a great effort and was always close in the scoreboard. At the end of the game we were able to make a 12-0 run and achieve another win."